Is a collection by a designer enough any more? Perhaps not, with pop culture’s biggest overachiever Kanye West on the schedule of New York fashion week. West will showcase his latest Yeezy collection at an extravaganza of an event that will also launch his new album WAVES. This will be streamed in live cinema broadcasts around the world, opening it up beyond the front row. Other multitasker Rihanna is also contributing – her collection for Puma will be launched at New York fashion week, fresh off the back of releasing new album Anti. Is it a fashion show, or a scene from Zoolander? 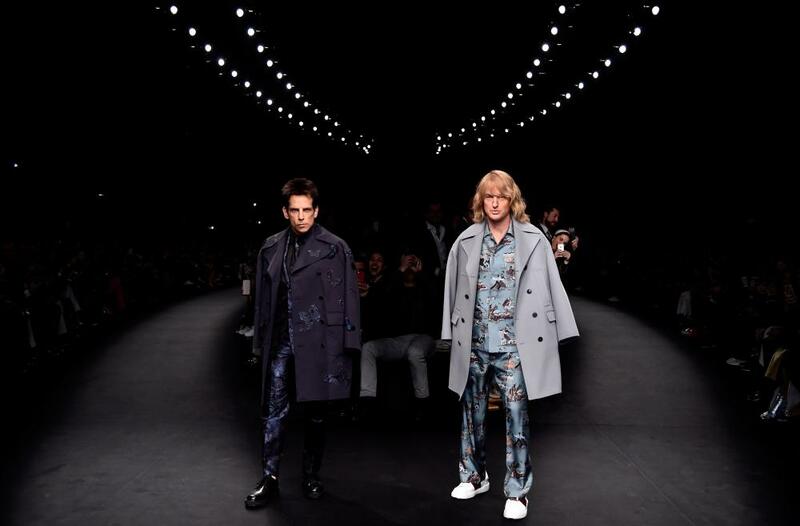 Zoolander 2 comes out on Friday, right smack in the middle of New York fashion week. With that Valentino moment, publicity shots of fashion grande dame Suzy Menkes on the blue carpet for the premiere, and Mugatu wearing avant-garde London fashion week designer Craig Green in the film, it’s clear the Zoolander team have fashion insiders among them. But it will make a strange Friday for those in the industry who choose to watch a day of shows, followed by the fashion satire sequel. Feeling as if you’re taking crazy pills could be the result. Are the four fashion capitals over? Saint Laurent – much-beloved of the rock’n’roll elements of the front row – is famed for preferring to fill its shows with obscure LA bands rather than the fashion press. They can now do this without stumping up the flight fees, since they’re moving the show from Paris to LA, where designer Hedi Slimane is mostly based. It’s a smart move. The show will be on the first day of New York fashion week and five days before the Grammys, meaning indecisive starlets without anything to wear can now mainline Saint Laurent. Yet more proof that the usual fashion calendar is on its way out perhaps. Which debut are you most excited about? There’s a few. 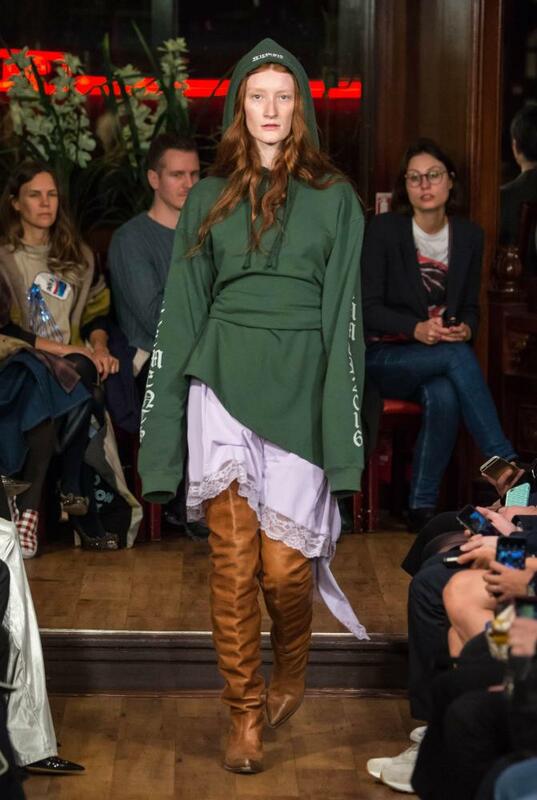 The more avant garde might pick Demna Gvasalia, the designer of Parisian hem disruptors Vetements, due to present his first collection for Balenciaga in March. For those who like a bit of quirk, there’s Johnny Coca, ex-Celine designer, now at Mulberry, come London fashion week. Those looking for a new version of The Row might like Kendall and Kylie Jenner’s new collection – all LBDs and hoodies – shown pre-New York fashion week. Is it all about Milan? It might be New York fashion week first but it already looks like fashion is on Team Milan this season. This is partly, as most things are this week, thanks to Beyoncé. For her Formation video, and performance at the Super Bowl, the Italian brand count was high and included Versace, Gucci and DSquared, who designed the very MJ jacket with harness that she wore on Sunday night. Also, Milan fashion week is being opened by Matteo Renzi, the Italian prime minister. Fashion likes being taken seriously and last time we checked, Barack Obama, David Cameron and Francois Hollande have yet to RSVP.